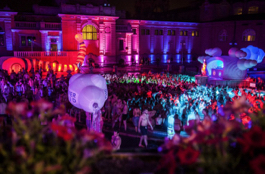 Home / Szechenyi Bath FAQ / Can You Buy Alcohol at Szechenyi Baths? 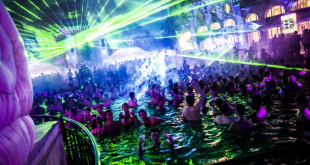 Can You Buy Alcohol at Szechenyi Baths? One of the questions we get from tourists is if you can buy alcoholic beverages, most notably beer at Szechenyi Baths? In short the answer is yes, you can if you are over 18. In the building of Szechenyi Spa Baths there is a simple cafeteria, which sells not only hot and cold meals and foods, but also soft drinks and beers / wines / cocktails (not outstanding Belgian beers of exquisite French wines, so do not raise your expectations, the cafe sells simple alcoholic beverages in cans and plastic glasses (as you can see it in the photo of the bath). Szechenyi Baths strives to provide an environment where no accidents with glasses and bottles can happen, so real glass products are not allowed to be sold on the premises (maybe the exception is champagne on New Year’s Eve and Day). Let us quickly add that alcohol dehydrates, so please make sure that you drink plenty of water in hot weather. It is prohibited to behave unruly and drunken in Szechenyi Baths, but there is no problem with drinking beers or wines in a civilised relaxed manner. Please note that getting drunk does not only affects your behaviour but may cause serious health problems (drunken people are not recommended to swim either in cold or in warm water – the effect of lots of alcohol is just like having heart problems or being generally in a weak physical condition and risking cardio problems by entering into water). 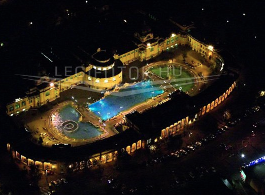 Hope we can welcome you at Szechenyi Spa Baths! Hi where do you leave your clothes sand personal belongings, and could you send tge drinks menu please. you can leave your belongings in the locker or in the cabin, depending on your chosen ticket type. 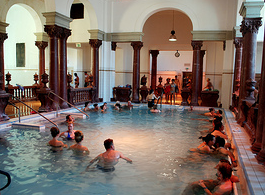 Drinks can be purchased at the cafeteria inside the Baths. I am afraid we cannot provide you a drink list. Thank you for your understanding. Hi! 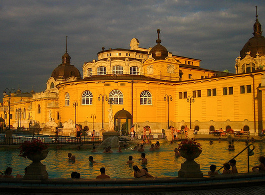 We are looking forward to visit Szechenyi Spa Baths in about 10 days. I will book my tickets online. I find the links you provide on your websites very informative. But i have a couple of questins, just to make sure i understand everything correctly. – You say that we can bring our own food and drinks. Does this include alcohol? (if it is not in glass containers). And also. Can we enjoy our food and drinks by the pools, or do you have restricted areas for consuming ? – We are thinking about booking tickets that include the bath kit. This is for purchase, and to keep. Not rental? – If we (3 people) want a taxi transfer from hotel to the bath, do we have to pay this for each person, or can one of us book the car (included in ticket) for all 3 to use. ? I hope you can reply my questions. Yes, you can bring your own food and drinks (alcohol as well), and can be consumed anywhere outside the pools. If you purchase a Bath Kit, you can keep the items that are included (towels, flipflop, etc. ), it is not for rental. The Taxi Transfer is included in “Bath Kit Package 5” for the price of HUF 17,900 per person. Unfortunately the taxi transfer price is not per car, but per person, therefore it needs to be paid by all members of the group. I have just booked two tickets for Bath+Cabin, I got a paypal confirmation – is that to be used as ticket at the spa? Please confirm. the confirmation email has already been received by you, as per your latest email. 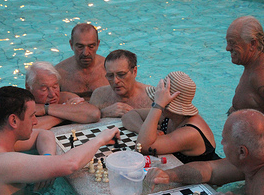 Have a great time in Szechenyi Baths.